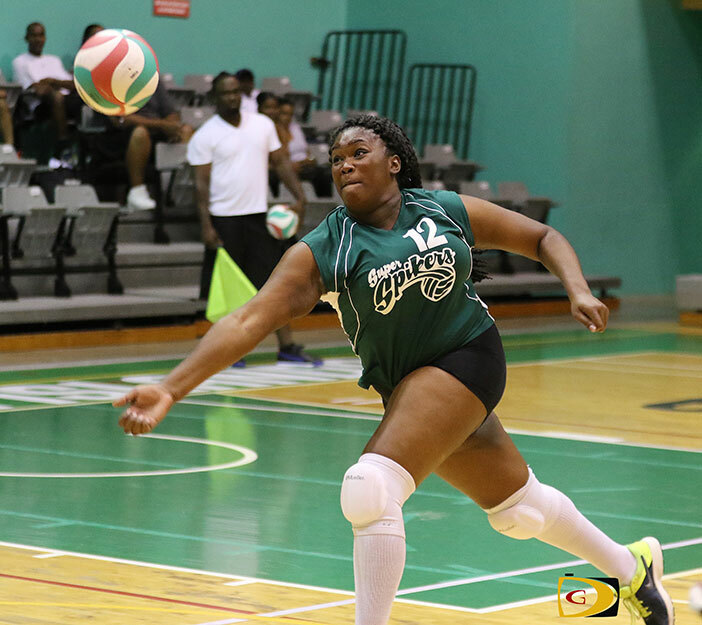 Despite a three set loss after overcoming their initial timidity after Phoenix Red told them they would be held to less than 10 points per set during Saturday’s BVI Volleyball Association league matchup, the young Spikers female team showed courage and put up a fight in their encounter. From their game against Phoenix Red, Malone said just as they learn in school to do teamwork all the time, the games are just the same. “Really, it’s more like a family than a team,” she pointed out. While they’re yet to win a game, Matthew said they are making it hard for opponents to win their games. “I can tell you that,” she said. What she thinks their first victory will be like? Malone agreed with her teammate. In other games, Seventeen needed all five sets to down Raw Power, 28-30, 22-25, 25-18, 25-18 and 15-12. School Them was a 25-16, 25-20 and 25-19 winner over Vixen, while the male Raw Power squad turned back the Virgin Gorda Hawks, 25-16,25-16 and 25-13.